Georgia vs Missouri Tigers. 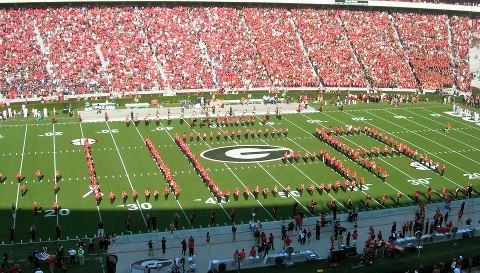 Mark your calendars and join the UGA Alumni Band for a day filled with fun and memories! Congrats to the Redcoat Band Class of 2015! This year marked the second annual senior gift program sponsored by the RBAA. 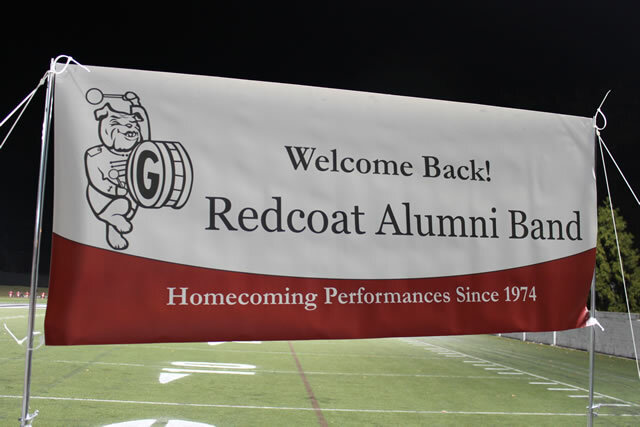 Senior gifts are an opportunity for the alumni band to recognize the hard work and dedication of each graduating Redcoat senior with a small token of appreciation. This year, gifts were presented at the annual Redcoat banquet by Cathy Marszalik, a member of the RBAA Young Alumni Council. Cathy spoke on behalf of the RBAA sharing a few words of encouragement and thanks with the group and extending to them their first official welcome into the RBAA. 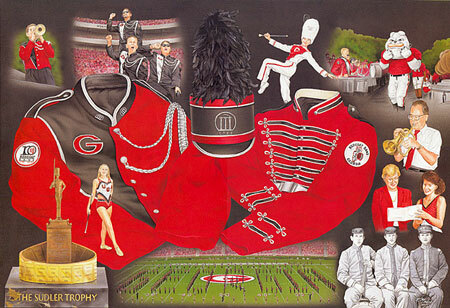 This year’s gift is shown below and included a commemorative poster print and a Redcoat Young Alumni keychain. As we wind down from an amazing 2014 Homecoming, we hope you had a great time! Young Alumni turned out in record numbers and we hope to see even more of you in 2015! 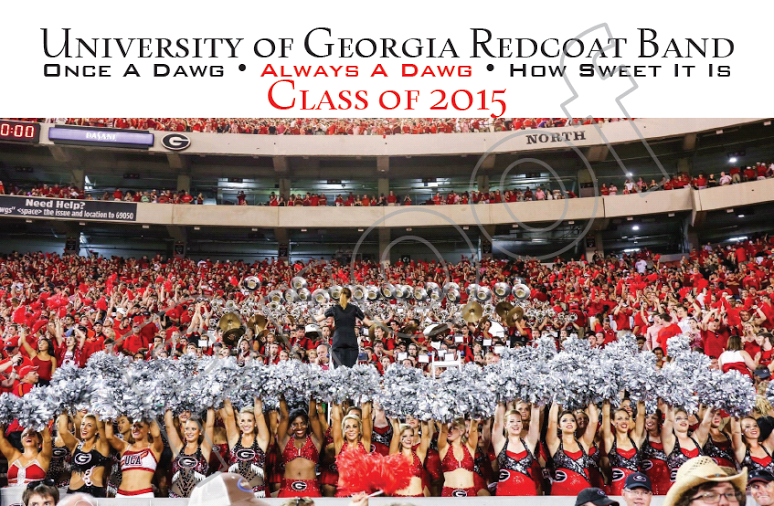 Believe it or not, UGA has already announced the date for Homecoming 2015: Saturday, October 17, 2015 v. Missouri. We wish to thank all of you for your donations to the Redcoat Scholarship Funds and hope you will consider continuing this tradition to help deserving current Redcoats have the same opportunities and amazing experiences that we did! As you enter tax season, remember that all donations are tax deductible. Have a safe, healthy, and happy Holiday season, and we hope to see you back in Athens in 2015! The UGA Athletic Association’s Young Alumni Program offers recent graduates an opportunity to request renewable season tickets at a special rate. If you graduated from UGA with an undergraduate or graduate degree within the past five years (May 1, 2010 to May 31, 2015), you qualify to request season tickets through the Young Alumni Program. The deadline to submit information for the 2015 football season is FEBRUARY 15. Click here to submit your information today! Interested in helping current Redcoats enter the workforce? The RBAA Young Alumni Council will be hosting several online resume workshops Monday, January 26 and Thursday, January 29 at 7:30 pm. We need alumni from a variety of industries to help current Redcoats sharpen their resume and interviewing skills. These workshops will also help prepare them for an all-Alumni networking event in March. If you are interested, please contact us at redcoatyoungalumni@gmail.com. Looking for a one-of-a-kind Holiday gift for a special Redcoat Alumni? 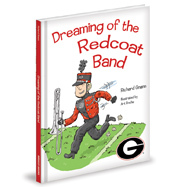 Note that the current Redcoat Band benefits, too! The RBAA Pep Band had 2 wonderful opportunities to provide support for the Redcoats at the beginning of November. Sunday, November 2, the Pep Band was able to respond to a request by the UGA Athletic Association to play at the volleyball game against Auburn since the Redcoats were still making their way back from Jacksonville. Our presence was a big success! This was quite a challenge as so many were out of town but an awesome group ended up making it to the game. 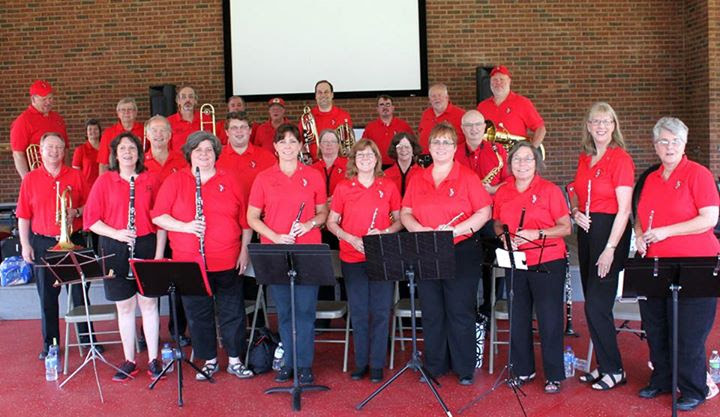 Although there was not a donation made by the UGA Athletic Association, we are trying to establish the Pep Band as a great resource for occasions like this. 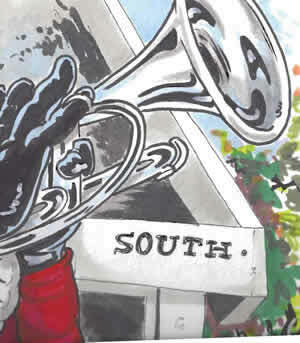 The “busy season” for the Pep Band (which is basically from May – when many UGA Bulldog Clubs begin meeting across the state – through the football season) is winding down but there are still opportunities for former Redcoats to join the Pep Band throughout the year. Be watching the eNewsletter for upcoming events. The first will probably be to provide a Basketball Band for a game or 2 in Athens towards the end of December. I hope we’ll have a GREAT turnout! Homecoming Drill Now Available! – UPDATED Everything You Need to Know for Homecoming 2014! Everything You Need to Know for Homecoming 2014! NEW! Homecoming Drill is now available! Find Your Marching Position Here! Pregame Drill Charts – Please download, print and bring these with you on Saturday. Pregame Cue Card – This is a detailed written run through of Pregame including: whistles, order of performance, counts, and horn flashes. Definitely a great resource to have on hand and worth printing in advance. – Purchase and install Drillbook Next reader. – Open Drillbook Next reader app. – In upper left corner, tap the button containing three dots. NEW! If I’m borrowing and instrument, how will the instrument swap work with the current Redcoats? Thursday, October 2nd: Tags handed out at rehearsal to students who will be sharing instruments with alumni – they will write their name and cell number on the tag and keep in the instrument case until Saturday morning. – Redcoats will rehearse first. 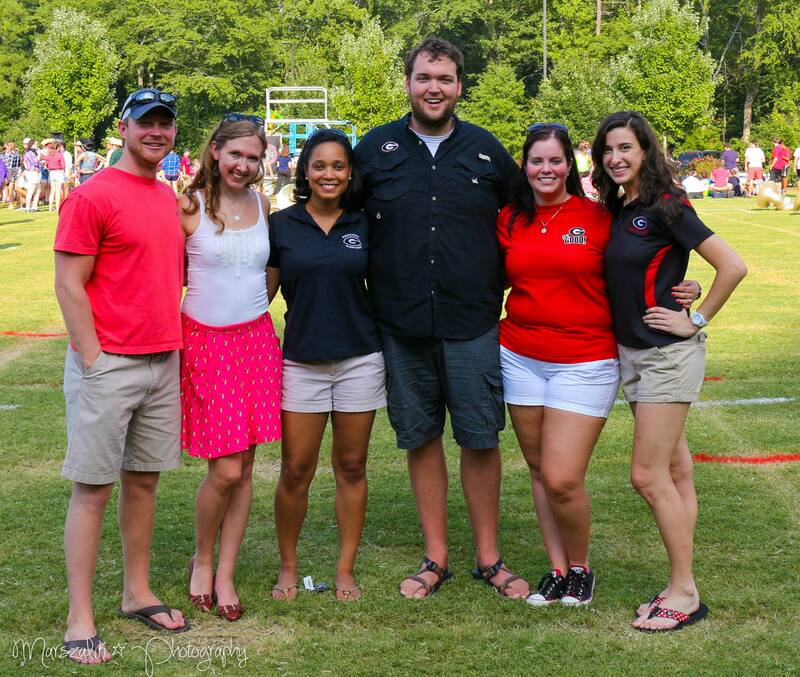 – After RCB rehearsal, members will meet with alumni to swap. Students will give alumni the instruments (no mouthpiece) and their tag. The alumni will give the student a tag with the alum’s name and cell number. – After Krypton in stands (about 43 min. before kickoff), alumni should meet students in front of the band seating area to get instruments for pregame. – After pregame, alumni will return instruments in front of band seating area. Official uniform (see below), game ticket, music (see below), drill charts (see above), & mouthpiece/ adaptor/ mallets/ sticks. To make things easy, the Young Alumni Council has posted the homecoming schedule here on our website so you can SYNC IT TO YOUR PERSONAL CALENDAR. This way, you know you always have the most up-to-date schedule that also includes details on where you should be, time on the game clock etc. (as you won’t want to be trying to keep up with a sheet of paper all day). This is also our official events calendar so it will keep you in the loop on all future young alumni social events. For your convenience, we can send you an e-mail when updates become available. All you have to do is sign up for young alumni updates using the sidebar on the right-hand side of this page! (As fellow young alumni, we understand you don’t want a boat load of e-mails – and we don’t want to write them – so rest assured your inbox is safe!). Where can I find the music and choreography? 2014 Homecoming music is now available and can be downloaded here (Password – “110years” (lowercase)). Pregame is very similar to how it has been for the past several years. Those videos have been online and have not changed in years. Shuttles operate before each home game from the Intramural Fields and the East Campus Parking Deck/Village to Sanford Stadium’s Gate 6 entry on East Campus Road beginning 5 1/2 hours before kickoff. All seats are accessible from Gate 6. For further information about Campus Transit services, call (706) 369-6220. Go Dawgs and see you soon! Official uniform (see below), game ticket, music (see below), drill charts (see below), & mouthpiece/ adaptor/ mallets/ sticks – if borrowing an instrument. Tired of having to check back for updates on schedules, music, uniforms, choreography, etc? For your convenience, we can send you an e-mail when drill and coordinates become available. All you have to do is sign up for young alumni updates using the sidebar on the right-hand side of this page! (As fellow young alumni, we understand you don’t want a boat load of e-mails – and we don’t want to write them – so rest assured your inbox is safe!). Pre-game is very similar to how it has been for the past several years. Those videos have been online and have not changed in years. Coming in the next few days as numbers are finalized (if you sign up for the young alumni updates mentioned above you will receive an e-mail when it’s available).